Story Map Tour is ideal when you want to present an ordered, place-based narrative featuring images or videos. 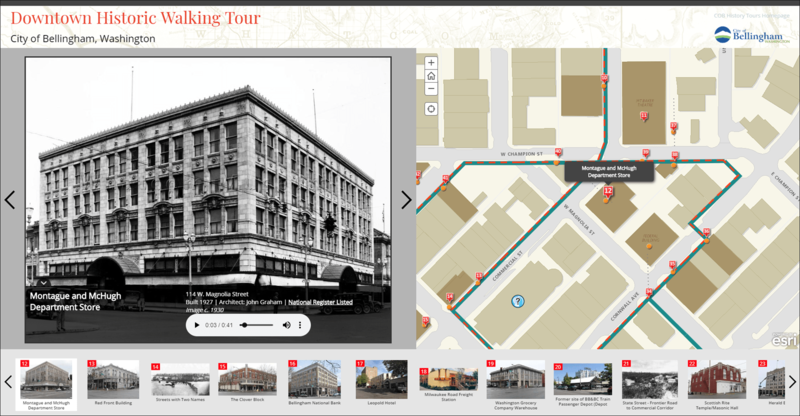 Each “story point” in the tour has a location, and readers can click through sequentially, or explore by interacting with the map, or using an optional thumbnail carousel. Audio recordings can also be added to your Story Map tour, and used to enhance the storytelling experience. This example from the City of Bellingham, Washington—Downtown Historic Walking Tour—uses audio to enrich the story with additional information about the buildings and other features along a walking route. 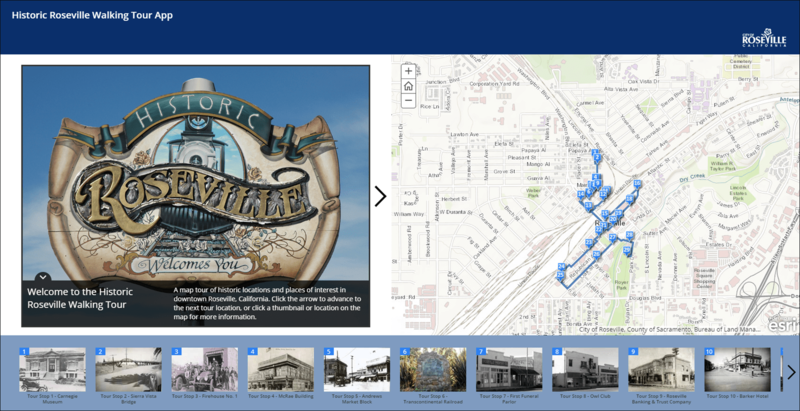 Here is another Story Map Tour that includes audio—Historic Roseville Walking Tour. In this example we’ll add an audio file to an existing tour, and specifically to an existing tour stop. After opening the tour click Edit in the upper right of the application. Note that this is available only if you are the map tour owner. A good place to add an audio control is to the tour stop caption so it appears below the text as seen in the example tours above. Advance to the desired tour stop, and click to edit the picture caption. 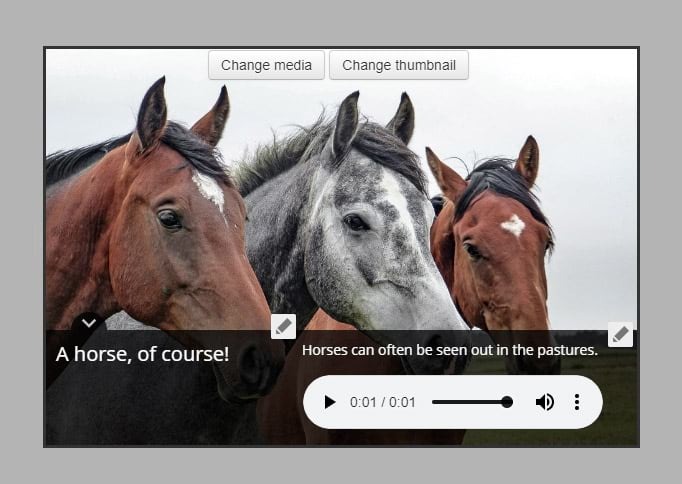 Depending on which layout you have chosen, the caption editing panel may appear slightly different, but adding audio works the same way no matter which layout you have chosen. Store the audio file at a publicly accessible URL location. The sample we will use is an MP3 file stored on our server. 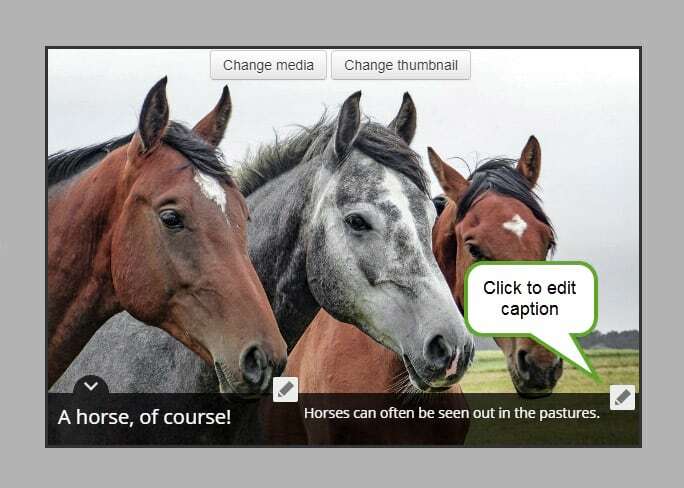 Save your work, the tour stop caption has now been enhanced to include the audio control. Audio is best when used sparingly. Like adding spice to food, too much can ruin your efforts, but a pinch here and there can bring out the story’s flavor. Keep your audio clips short and to the point. 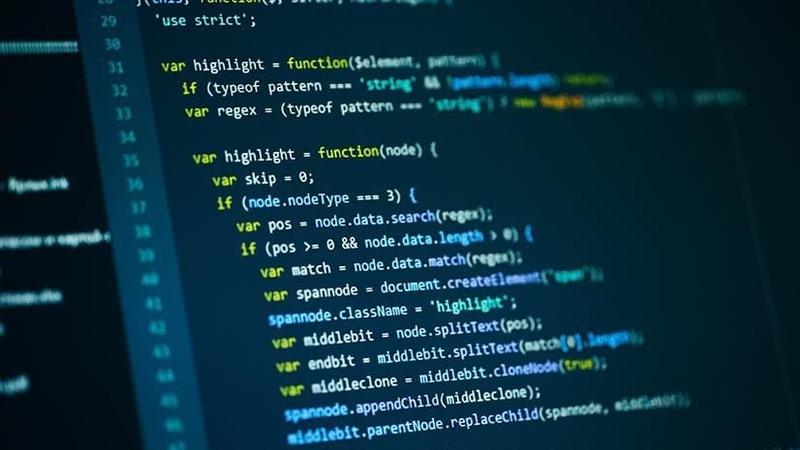 Note that audio files may not play in all versions of browsers or on all devices. 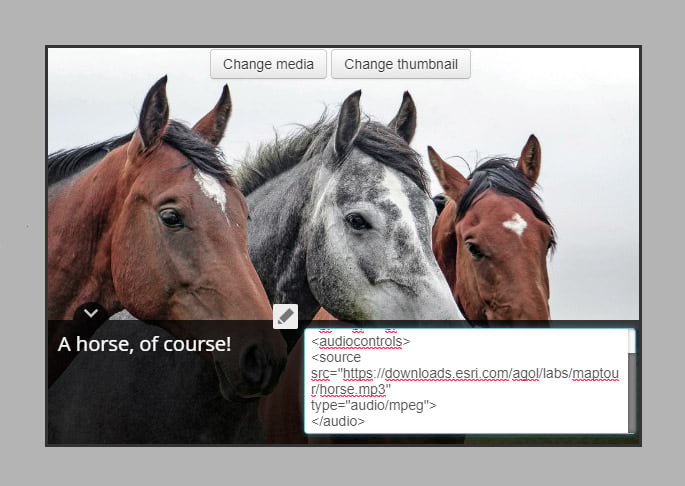 To learn more about embedding sounds, see the w3schools.com website we referenced for this example. Using the audio tag to embed audio clips in Map Tour captions as described in this blog is not supported when uploading local images directly into the Map Tour Builder. For more information see the Story Maps website, or view the help provided within the Map Tour builder. The gallery contains other examples of Story Maps that use audio.